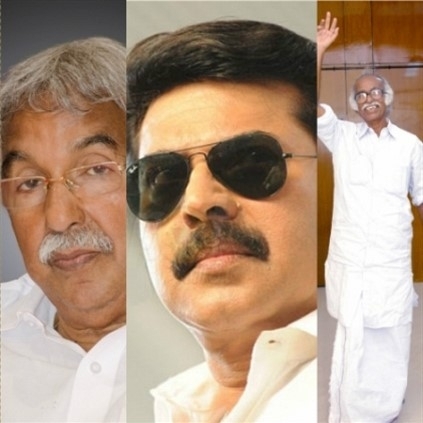 Despite his young looks Megastar Mammootty was referred to as 'elder brother' by minister Kadannappilli Ramachandran. The 72 year old minister was speaking during a function at Santhigiri Ashram. It was also an advance celebration of Mammootty's birthday which falls on September 7th. Mammootty's reply was bone tickling. He joked that he is happy to have an 'old younger brother' and added that sometimes the minister even refers Dulquer as 'big brother'. He then said that he won't reveal his age as no one will believe it and asked ex-CM Oomman Chandy, who was also present at the function, not to be jealous of Kadannappillli for having such a young big brother.